Hundreds of Authors and Writers from all over the world have great things to say about the Chanticleer Authors Conferences. 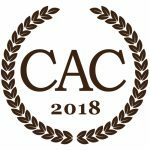 CAC18 will be the 5th conference and 7th Awards Ceremony! Be sure to join us April 20 – 22, 2018. The testimonials, statements, and opinions presented on our website are applicable to the individuals depicted. Results will vary an may not be representative of the experience of others. The testimonials are voluntarily provided and are not paid, nor were they provided with free products, services, or any benefits in exchange for said statements. The testimonials are representative of Chanticleer’s customers but the exact results and experience will be unique and individual to each customer. “You made me, a first time author, feel like a writer. In addition, I found the conference unique, focused, and an amazing learning experience.” Nancy Adair, Bellingham, WA. Scott Smith, award winning author of AN OUTCAST STATE, Hawaii. “The most enjoyable and educational writers conference that we have attended…The Awards [Night] is a magical night for each & every author there.” Tom and Nancy Wise, award winning authors of THE BOREALIS GENOME, Pennsylvania. “Thanks again for putting together such a great event for authors.” Rachel B. Ledge, award winning author of THE RED RIBBON, Singapore. “CAC2015 was a big game changer for me! Thank you for the honor and privilege. The intellectual take-away was phenomenal, equating with the joy of receiving a 1st Place Chaucer Award. So happy to be a part of the Chanticleer network!” Syril Kline, award winning author of SHAKESPEARE’S CHANGELING, Maryland. “The knowledge I acquired about writing, publishing, marketing and myself in itself was PRICELESS but the HONOR of meeting the acquaintances of people such as yourself and other Authors made me FEEL visible, valued and part of something bigger than myself – A FAMILY! I started my third book this morning because you made me BELIEVE in ME! Thank YOU for the awakening!” Donna LeClair, award winning author of WAKING REALITY, California. “A GREAT conference. All were most kind and helpful, and I learned a lot. THANK YOU, THANK YOU, THANK YOU.” John Trudel, award winning author of GOD’s HOUSE, Oregon. “While many conferences are fine for writers just starting out, this one is aimed at those who intend to be professional authors. The publishing business is constantly changing, and attending the Chanticleer Authors Conference helps me keep up with what’s going on. I always learn so much!” Pamela Beason, Grand Prize winning author of THE ONLY CLUE, Bellingham, WA. “I’ve attended many writer’s conferences over the years –Maui Writers, Pacific Northwest Writers, Surrey International Writers, Chuckanut Writers, and Write on the Sound Conference. All great experiences, but I’ve never gone to a writer’s conference where all the topics were about marketing and getting you books known. The Chanticleer Authors Conference offers such an experience with some of the best experts and innovators in the field. After attending last fall, I came away with both ideas and the tools to help make my books more visible and made great contacts and new friends. Writing a novel is exacting enough. Getting sales in a crowded market is essential in this free-wheeling publishing world.” Janet Oakley, Grand Prize Winning author of TREE SOLDIER, Bellingham, WA. “Please keep on with the wonderful work that you are doing in providing authors with a credible, open-minded and caring platform.” Elizabeth Barlo, author of RUTH 66, Netherlands. “The Chanticleer Conference is an amazing place to meet the next people who will help push your book marketing, editing, marketing to the next level. I always come away with things I can go home and do.” Robert L. Slater, award winning author of ALL IS SILENCE, Bellingham, WA. 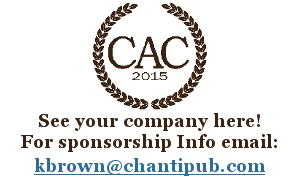 “The Chanticleer Authors Conference is for authors who are serious about successfully marketing their books. At the CAC conference, I learned not only from the presenters but also from the many professional authors in attendance, who brought a wealth of experience in both traditional and self publishing. Recommended for writers who are planning their first book launch or their tenth.” James Wells, author of THE GREAT SYMMETRY, Bellingham, WA. “We…enjoyed our visit to Bellingham and my good fortune in winning a Laramie Prize for Wolf Eye’s Silence. (Another side comment here: Angels Over Yellowstone is part of a series that started with Wolf Eye.) Thank you for all your work.” Elisabeth Ward, award winning author of WOLF’S EYE SILENCE, Oregon. “C’est magnifique!! Thanks so much, Kiffer. I love that we can build on the buzz of #CAC15!! It was an inspiring and uplifting event. I’m delighted to have BLUE in the Chanticleer family.” Kayce Hughlett, author of BLUE: A NOVEL, Seattle, WA. “Many thanks to you and your team! New friends, eye-opening ideas, fantastic speakers and loads of inspiration.” Kerryn Reid, award winning author of LEARNING TO WALTZ, Florida. “CAC is a great nuts and bolts conference for authors navigating the changing world of publishing. I have attended for two years and learned so many new things each time. A great conference to learn from both professionals with years of experience and peer authors who are experimenting with the all the new tools available in self-publishing. I highly recommend CAC to anyone who wants to self-publish, or who has self-published and needs to know what to do next. Also, the atmosphere was amazing. Great venue and friendly people!” Selah J. Tay-Song, author of DREAM OF A CITY OF RUIN, Bellingham, WA. “#CAC15 was my first time attending. I met so many wonderfully helpful authors at the conference. The workshops were exactly what I needed. I left with a commitment to self-publish my novel – which I’d had under my bed for almost 2 years – and had pre-orders on Amazon within a month. I’m certain I’d still just be thinking about how to dust of the manuscript were it not for #CAC15 and all the people I met there.” Donna Barker, award-winning author of MOTHER THERESA’S ADVICE FOR JILTED LOVERS, Vancouver, Canada. “At the end of the CAC15 conference, I took away a lot of new knowledge regarding some craft issues, branding, and marketing techniques and writer connections. Useful intro’s to new apps & writer/assistance groups, plus a snapshot of audiobook ‘stuff’ to name a few. Chanticleer is on the cutting edge of the writing industry. I signed up immediately for the 2016 event, now to be held in April. Typical of Chanticleer, as part of caring for and about authors, their spring date eases up time pressures for writers that attend other conferences scheduled in the autumn. The venue and small size is perfect for me, providing easy access to workshop rooms, aesthetic ocean-side scenery in the views from some locations, and an overall positive experience. See you in April!” Marion Spicher, author, Washington. “CAC15 was my second conference! They are only getting better and better, with wonderful author sessions, information you need to know and friends to make. The banquet is so exciting to hear the winners and see everyones faces. Dont miss out, come and join us at CAC16 in Bellingham, a beautiful place to see and enjoy.” Janet Shawgo, award winning author of FIND ME AGAIN, Texas. “Thank you for hosting one of the best conferences I’ve been to! Leanne and I learned sooooo much. Some of those classes should be like mandatory classes for newbies.” John Yarrow, award winning author of the soon to be published THE TIME FORWARD PROJECT, Plano, Texas.